Lovely chalet with private pool and stunning views. Sleeps 4 in 2 bedrooms (sleeps 2 in the living-sofa bed). 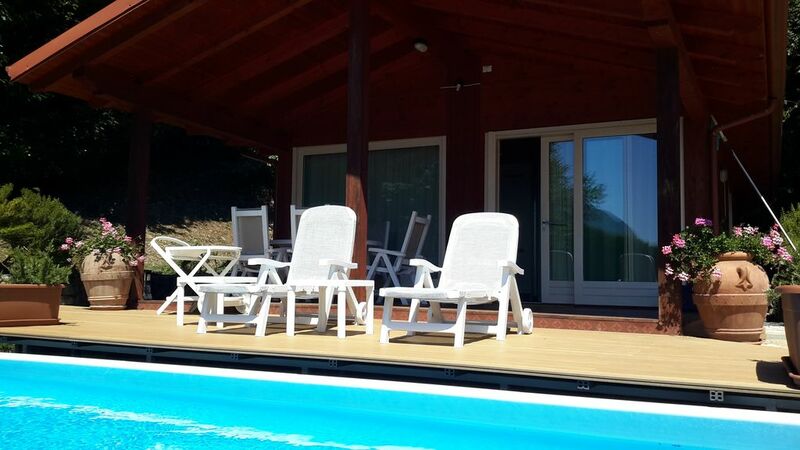 Chalet Belvedere is a perfect holiday location for a family; in a private residential area, always calm and quiet, yet it is very close to all amenities, Within 5 mins by car to restaurant, bars and supermarkets. Close distance to the neighboring towns of Riva di Solto, Lovere, Sarnico and Bergamo and just 45mins from the airport in Bergamo. The chalet is completely independent with a private garden and private pool, a large porch relaxation area, outdoor eating area, lounge with open plan kitchen, 2 bedrooms, full bathroom with shower.